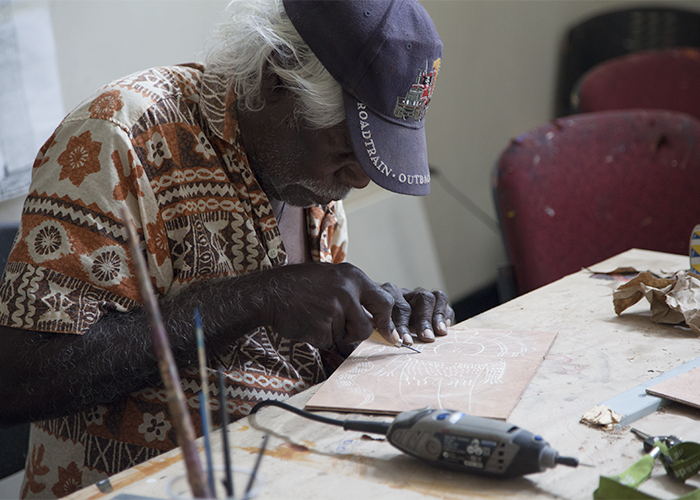 The Mowanjum Art Studio is a place where young and old gather together to create and inspire one another. It is a meeting a place for the people of Mowanjum as well as communities along the Gibb River Road, through the Kimberley Coast and as far away as Kalumbaru. Artists are able to translate these traditional skills in carving and painting into more contemporary woodcut prints and screen printing. Together they build on a centuries-long history of artistic practice. 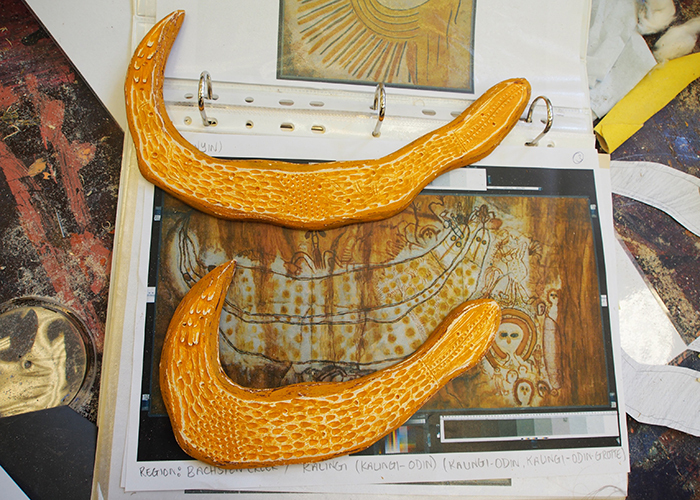 Every day in the workshop, artists are mixing paint, crushing ochre, stretching and priming canvases and constructing stretcher frames. 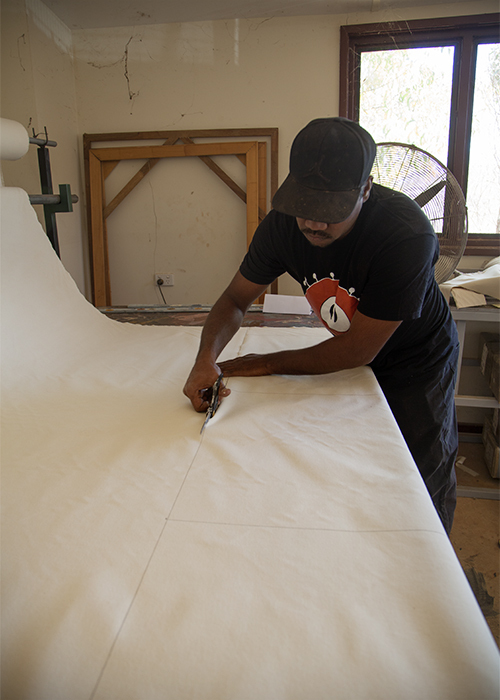 Here, the artists are trained in the technical preparation of materials to a best practice standard. 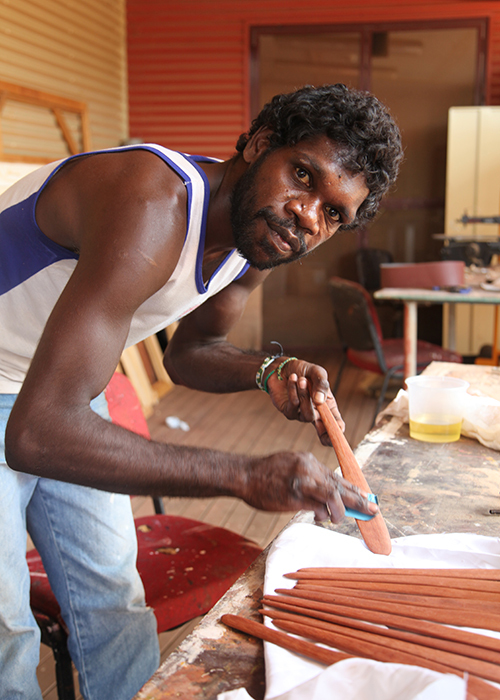 Throughout the year, the workshop hosts a range of creative and technical training opportunities, including pearl shell or wood carving. 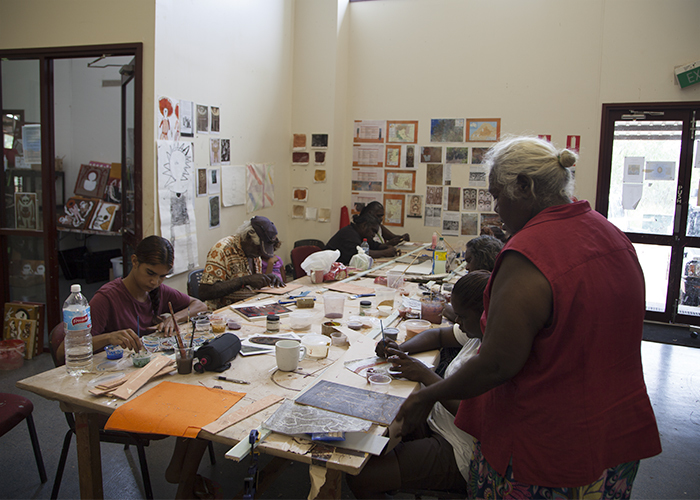 The in-house printmaking studio was established in 2015, building on the strong history of carving and incising techniques practiced by Ngarinyin, Worrorra and Wunumbal artists. 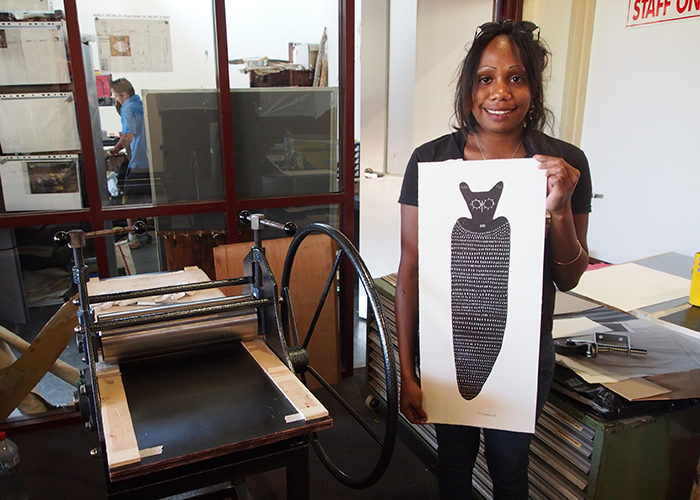 These techniques have been adapted to woodblock and linocut printmaking processes. 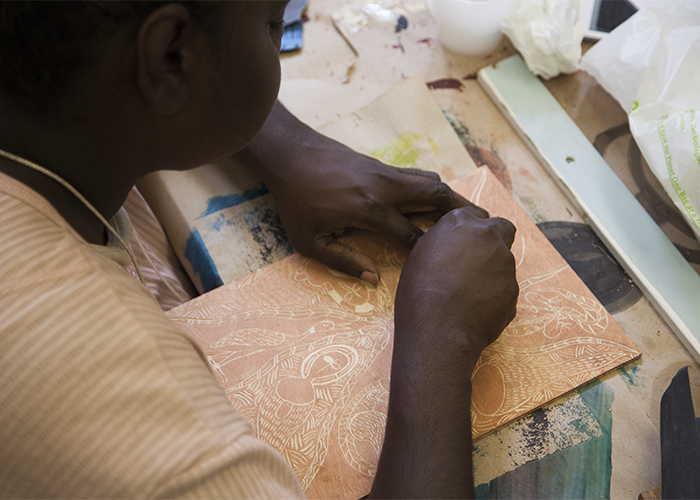 In 2015 master printmaker Basil Hall visited the studio, sharing a chine colle technique with Mowanjum artists. This technique combined a delicate, Japanese method of hand-printing with traditional ochre pigments, calling to mind the subtle colours, textures and layering of rock art. 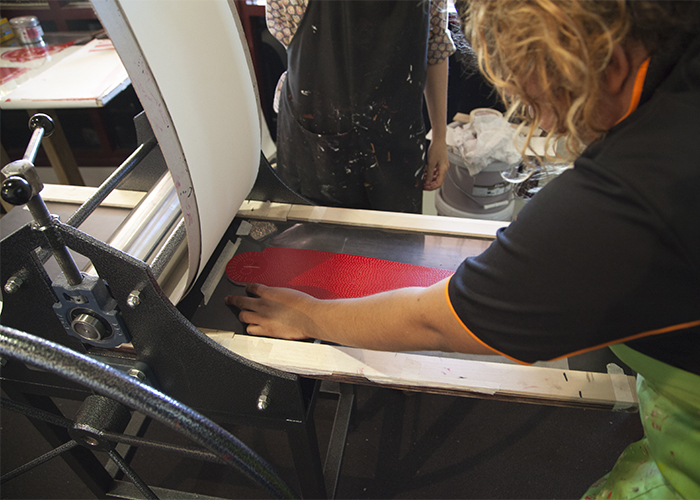 The addition of our print studio has created even more opportunities for artists to develop creative and technical skills.